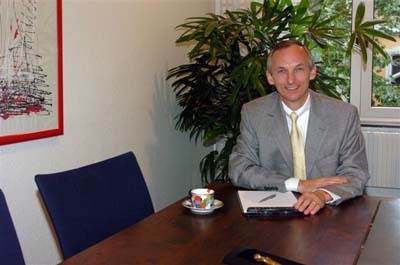 H. Gerhard Benneck, founder and manager of the company is an American national. He grew up in Germany, France and the United States, thereby speaking all three languages (albeit French is a bit rusty). Gerhard attended Worcester Polytechnic Institute studying mechanical engineering before moving on to George Washington University and gaining a degree in Business Administration. Moving back to Europe, he started his career in the banking industry and then moved on to software sales. In 1988 he moved into consulting, starting his own company in the field of Executive Search. Feel free to contact Gerhard Benneck in English, German or French with your requirements.